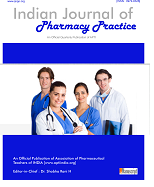 APTI is regularly publishing two journals of great repute, Indian Journal of Pharmaceutical Education and Research (IJPER), Indian Journal of Pharmacy Practice (IJOPP) and Woman to Woman Quarterly bulletin under its belt. APTI Bulletin is released bi monthly which gives the members a platform to highlight their achievements. APTI also has a strong Continuing Education cell which is helping young teachers to become good educators. Views and Reviews Vol. I by Harkishan Singh. Views and Reviews Vol. II by Harkishan Singh.